Last summer I had a problem with my geraniums turning white all of the sudden. The leafs lose its green lush and after a while they dropped completely. It was a very surprising thing, since geraniums usually are very sturdy plants. I struggled to keep the plants alive and at the end only one of them survived. Although I never really knew what caused the disease, I thought I had learned my lesson. The surviving geranium plus a new one that I got didn't show any more problems and they even put a beautiful display all the rest of the year. That was until now. Mid January the white and red geranium started to grow new leafs, but they all come out being white. The plant seems to be a little frail, but it is still growing, so I think it still has a chance of surviving. The funny thing is that, in contrast, the red geranium could not be more happy, It has thick big leafs and it is even starting to grow a new flower button, probably to bloom when spring comes. I think the difference is based on the flowers. 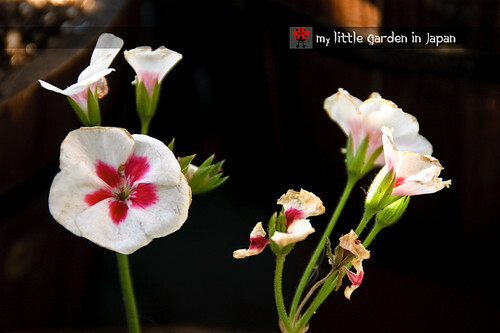 The white and red geranium still had flowers now, while the red one stopped blooming some time ago. The stress of having to survive in the cold plus showing that nice display of flowers is what made the white and red geranium more susceptible to getting sick. Last summer doing some research didn’t get me anywhere. More likely the leafs turning white is a problem coming from the roots, but I am not sure. I repotted it, cut away the fading flowers and gave it a bit of new soil. Hopefully that will give it a chance. Anyone have any idea what it can be? Fer, are you sure this is a disease? Could it not simply be that the plant is not getting enough light in the Winter conditions? I have been keeping my geraniums in my garage, which is very gloomy because it only has one window, and the plants have gone very pale. I know they will soon green-up again when the weather is warm enough for me to move them outside. Hi Fer, I am sure what Mark says is correct, And of course Geraniums or to give them their proper name Pelergoniums like to be kept almost dry in the Winter. I wondered the same as Mark whether the problem was lack of light. Just had a little browse around and have found these suggestions. The plant could be root bound or too much fertilizer in the soil. Thank you very much for the suggestions, all the help is very appreciated. I have checked since last time and I doubt is the light. The geranium is in a nice space with a bunch of sun and also last time the problem happened in summer when light was at its best. Also I haven't fertilized at all (the soil is good and rich) and when I re-pot I didn't saw any root-bound, tho I did noticed the root was rather weak. Other thing is that I have been careful with water keeping it on the dry side for winter. The thing that baffles me completely is that the other one, which is in the same pot, is growing very nice. No idea what it can be. Dear Fer, Pelargoniums require very little in the way of water or food over the winter but they do require good light to thrive. Perhaps the problems you are experiencing are because of a combination of these elements. In my experience, I have found the red varieties always to be more robust than the white forms, but that could be co-incidence. Fer, sorry about your geranium. Hope you get to the bottom of what's going on with the plant. For many, many years my parents always gave me a big red geranium plant for my birthday in April. I haven't grown them before and can't offer any advice. Hope things turn out well for you. Well, at least one of them seem healthy, right? I think I'm with you that it is something with the roots-perhaps too much or too little fertilizer or even water? I would try cutting them back and maybe even started some cuttings from the plants in order to keep them going. Soon it will be spring and they'll like the warmer weather. Good luck! Here in Italy Geraniums (and Surfinias) are absolutely the most popular potted plant. In northern Italy Geraniums never survive outside during the winter, so we're used to replace them every late spring because they're really cheap. They are very easy to grow provided that they receive a lot of sun all they long. 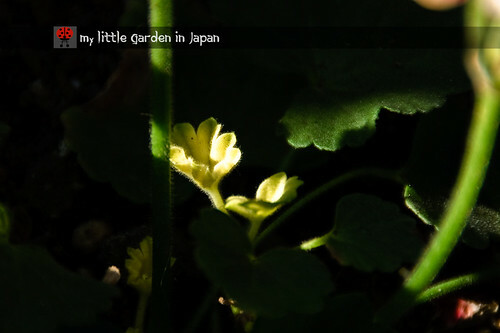 You might want to try a small experiment: Buy a small, inexpensive light meter to determine how much light the white geraniums are receiving as compared to the red ones. Then take your healthiest red plant and switch places with the pale white one. If the white plant seems healthier and the red one begins to develop the same symptoms, then the amount of light is the problem. If nothing changes then the white plant may have a disease that affects only the white cultivars. I had that problem with daylillies once and ended up pulling out a huge patch. Good luck! I grow about 50 Pelargoniums and a few Geraniums. Whenever I have a problem I simply cut new starts off the mother plant (taking care to stay away from anything ailing), and then I repot in fresh soil in a sterilized pot. Water thoroughly, set in a very light spot, and ignore for awhile. I have collected and loved Pelargoniums and Geraniums for decades and they are one of the best garden companions. I especially love the scenteds. If it is not lack of light then the only thing I can think of is rotting of roots if the plant has too much water. Damp compost over a period of time is a killer for Pelargoniums, especially in winter. Thank you for the advice! I hope they will recover. The albino leaves look lovely in your photos, even if they are abnormal. Hi fer. I am no geranium expert so I tried doing a little research in order to possibly help you with your geraniums. Several articles mentioned that a phosphorus deficiency could be the cause of leaves turning white-to add a plant food that is a little higher in phosphorus. Another artcle said that it could be an iron deficiency and adding coffee grinds around the plant could remedy the problem. They both make sense and could be worth a try. Hope your plants recover. I never grow them before but i hope yours will grow beautifully! I hope they bounce back in spring. We had geranium here in the garden which previous tenants must have grown them. But never take care of them because they are a very hardy plant here. Probably rotting roots, that means too soggy soil, usually thats what happen to my plant here Fer though not geraniums.But I think the problem is common to all plants in the tropics or temperate climate. Hope you find a solution and can keep your white flowering geranium going! If the soil is good and rich, that may be the problem. Geraniums are tough and when established, like things on the hot and dry side, and prefer not too rich a soil. So maybe repot and add some sand or just perlite to the soil. Good luck!! I hope you will be able to solve the problem with white leaves. It can be a number of things, and there are already some great advice here. Is this a disease? 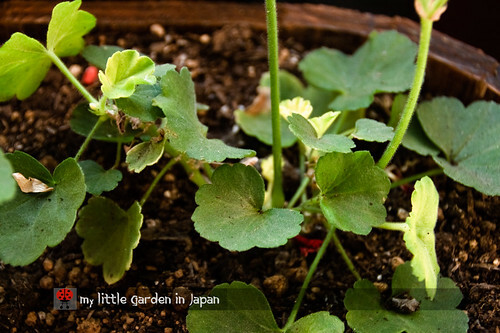 My geraniums' young leaves came out white too but they grow well eventually. I hope yours will grow well too! I agree with the more light comments. I would also suggest less water during the cooler days. Some folks even will remove geraniums from the soil during the winter and store them like onions and then replant in the spring. I had about 50/50 success when i tried this. I mistreat my geranium every winter, ill keep them outside untill soms leafs start to color, or when theres frost predicted the coming night which is usually in october/november. Then ill get them inside cause dutch winters are to cold for geraniums. I cut it to 10- 15 cm above the ground. I am thinking personally about too much water, and mabe it was already a weak plant and is that the reason that your other plant, who is older, survives. I hope your plant will recover. Geraniums seem to love drought so keep it dry for some time. You have gotten a lot of good advice for your Geranium. I hope something works for you! I wish I could be of more help. I lost an Aloe this winter because of my neglect and now I get to go shopping for another one. Hi Fer, I hope that you can figure out the problem with your geraniums. 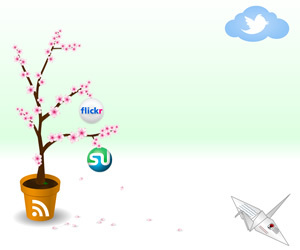 It seems like you have gotten lots of good advice from fellow bloggers. Myself I would suspect over watering or poor winter light. One variety may be more susceptible than another(hence the difference in your plants). Hopefully the advice will help. Hi Fer, I haven't plant them, so don't have any advice. I hope you will get the best answer and solution to your abnormal leaves soon. Sorry to hear about your sick plant!! But I would just echo what everyone else said. I don't grow that much in the way of flowers, but some kind of nutrient issue is going on. I've had trouble with white leaves when my plant has got straggley, old or too woody. Cutting it back has helped but, if old, the new leaves have sometimes grown in a bit small. Hello there. The problem of whitening ivy geranium leaves ocurrs when the plants suffer a heath stress, especially if the temperature overnight is low and then high during the day. Micronutrient deficiency might be another cause, probably lack of P.
Fer it is very strange about your Geraniums and I hope they bounce back for you. I've wintered a few over in the greenhouse but seem to lose them after a couple of winters. I'm doing something wrong I know because many people keep them here all winter in their garage or crawl space. I use to kill Geraniums in the summer because I watered them too much. I didn't know at the time they don't need a lot of water. I pretty much gave up on them now but did get 2 again last summer and they did good. Hopefully someone will be able to tell you what might be the problem with yours. Sorry about your albino leaves! It seems like many of the people who responded know more about this plant's care than I do. I hate mystery plant problems that I can't find definitive answers to... good luck with yours! Hi Fer, I've planted geraniums before too, and mine also had a tendency of the young leaves turning white if I kept them in full shade. All they need is more light. I have also got a Stylish blogger award for you.Your balcony garden is inspiring...you might be starting a trend among young gardeners to do container gardening. Thank you very much for so many great advices! After checking all your comments and some research of my own, I think it probably got weak because of the temperature changes we had. I didn't over water and the soil is good enough (i think) So possibly it was just weak from being flowering so much. Hopefully it will recover in the spring. Last summer my geranium did the same thing. Around the end of July, early August all the leaves turned white and eventually withered away. I thought that was the end, but as the weather cooled down, leaves started coming back and flowers returned. Throughout the winter it fully recovered. Or so I thought. This summer the same thing has started happening. After some snooping around, I found that some of the wilder geraniums in the area are experiencing the same thing. I've moved it out of direct light (it was in a west facing window) as I think the Japanese summers are just a bit too much for our beloved plant (I'm living in Hiroshima). I'll let you know how things turn out. Hi, came across your comment while scouring the net for answers as to why my pelargonium leaves (of all 5 plants) were turning pale and white. I had posted the same question in a facebook group based in Bangalore India (where I'm, from) and was surprised when I came across a lot of people facing the same problem. So I came to the same conclusion as Fer has, after ticking of all the possibilities, I believe it is stress from the changing of the seasons (thank you Kalypso). Thank you Fer! I have the same problem with my geraniums, they have suddenly started sprouting white leaves. However, my situation is different. I live in Florida, a subtropical area and the potted plant is outside on the porch. It has been very hardy and blooms profusely. It gets a lot of sun, it is not cold by anyone's standards, yet it is producing white leaves. It rains a lot in Florida during the summer, very heavy rain almost every day, lots of sun and a temperature that rarely gets into the 90's. After reading everyone's ideas, I'm considering that they may be getting too much water from the rain. I just thought I'd add my two cents worth here to see if it resonates with anyone or sheds light (no pun intended) on the problem. I'd welcome anyone's suggestions or advice. Thank you.